Fall Bat Blitz, with bat photos! The Alabama Bat Working Group (ABWG) held a mini bat blitz October 12 – 17, 2010 in Northeast Alabama. 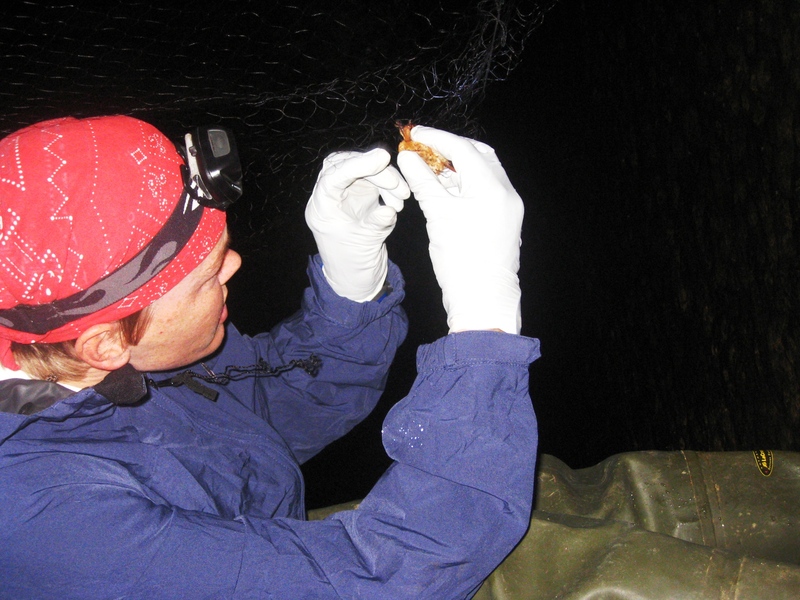 Around 18 biologists, cavers, and volunteers mist-netted for bats. Surveyed lands included the Mountain Longleaf National Wildlife Refuge, Shoal Creek Ranger District of Talladega National Forest, and the US Army’s Pelham Range. Overall, the group captured about a dozen bats including a red bat, hoary bat, evening bat and big brown bat. All individuals captured appeared healthy. A very small piece of bat wing was taken from nine bats and submitted to the American Museum of Natural History. 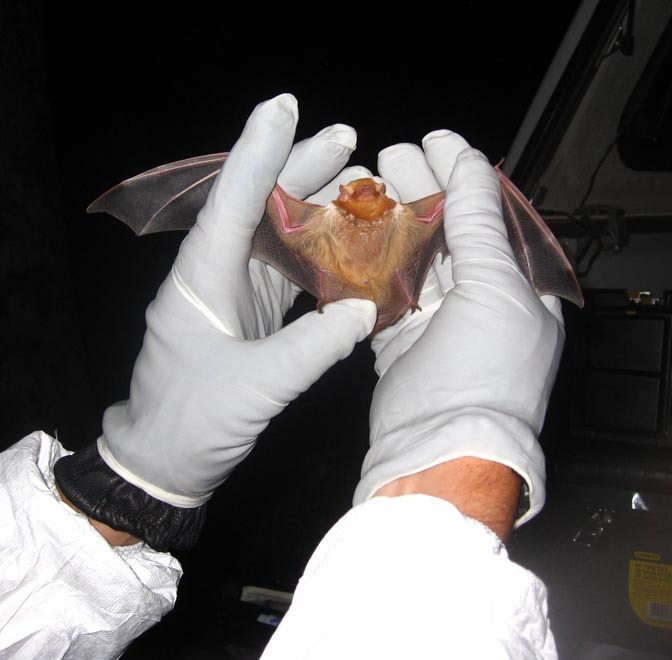 This was to make sure to collect and preserve unique genetic information about these bat species for future researchers. All bats were released after being examined. 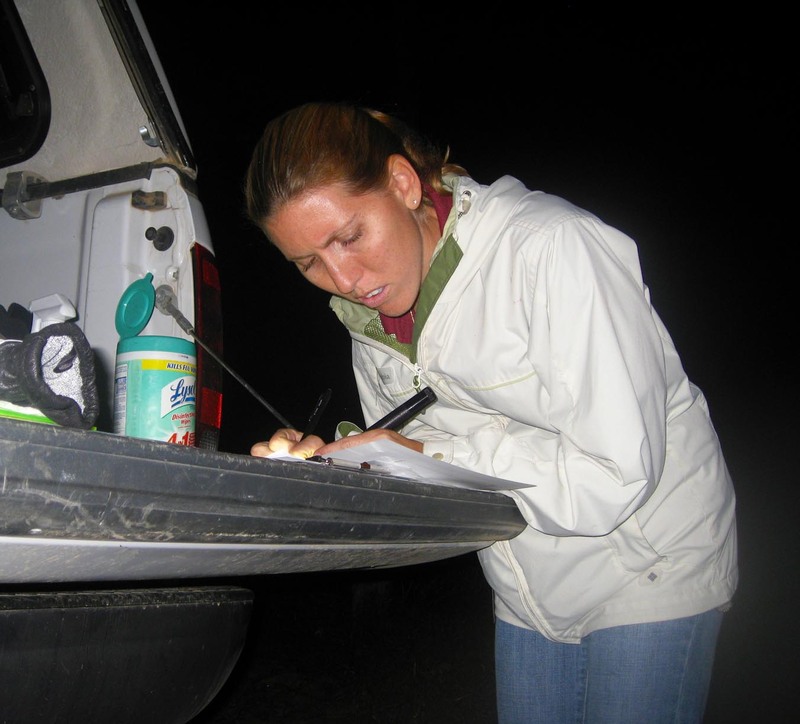 US Fish & Wildlife Service biologist Bill Gates trained seven biologist on collecting wing samples. Special recognition goes to Eva Kristofik of the US Fish & Wildlife Service for coordinating the event. Below are some pictures of the bat that the group captured. Bill “Gator” Gates of the US Fish and Wildlife Service took the following photos during the blitz. 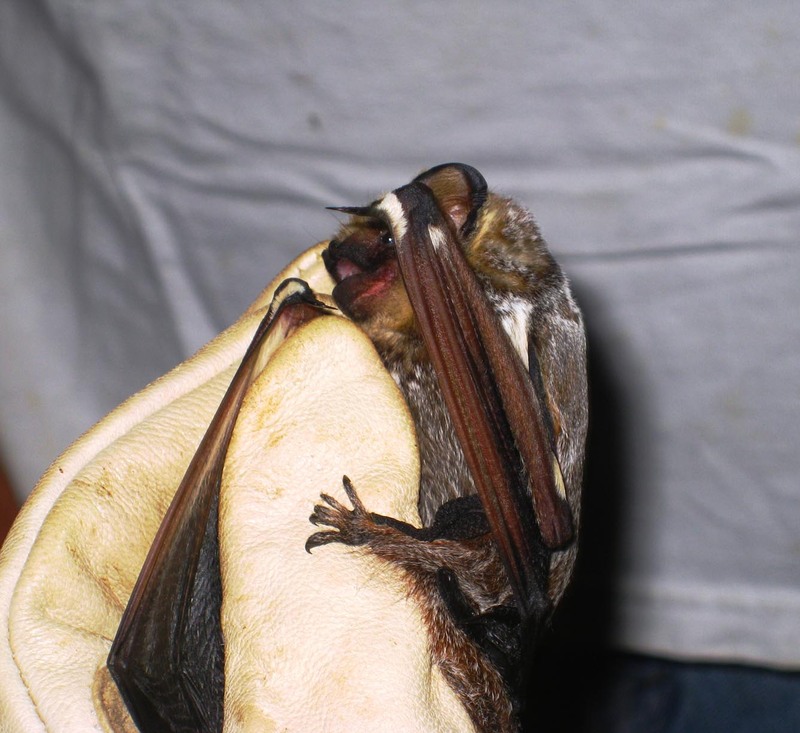 You are currently browsing the Alabama Bat Working Group blog archives for January, 2011.